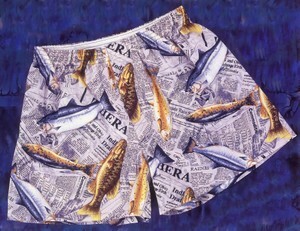 These boxers are easy to sew and fit well! They are the classic 5-panel style with a front fly and roomy seat. 5 sizes included in this pattern for waist sizes 24"-45". Pattern by Timber Lane Press.